Email us at info.flyersin@gmail.com or contact our Customer Service Hotline 8686290009 for further enquiry. Confirmation of the distribution zone, types of newspaper, quantity, insertion date, and flyers collection details. Our pick-up points are across Hyderabad. 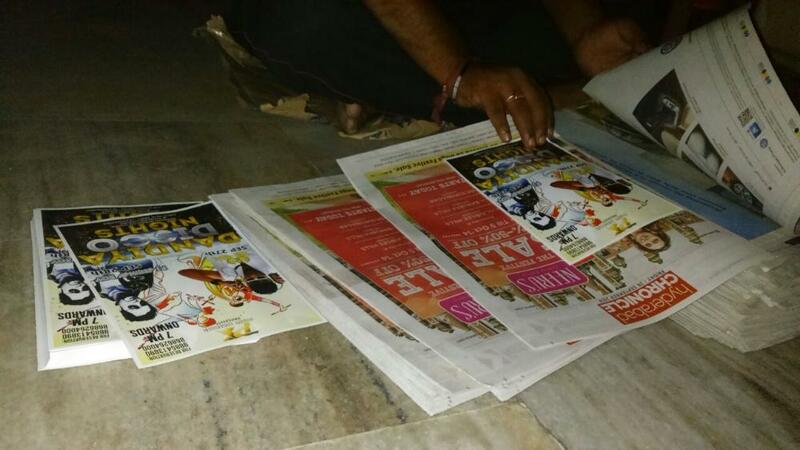 Our concern team could collect the flyers from your branches/offices across Hyderabad. It's FREE of charge. Deliver your flyers with the daily newspaper on the insertion date. The complete and detail report will be sent to you after the delivery.